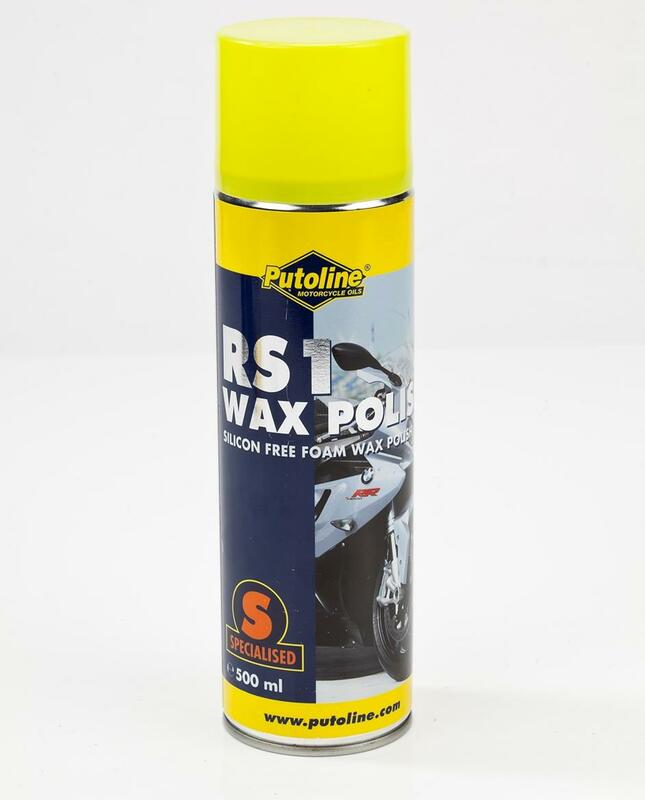 What’s good about the Putoline RS1 Wax Polish? I’ve never really used wax when washing bikes, but this silicon-free foam spray was drafted in to bring my 2015 long term test bike back up to scratch after a year of daily use. It’s easy to use – just spray and polish with a cloth. It doesn’t take ages to buff up to a good quality shine and despite using it rather liberally on my 2015 Kawasaki 1400GTR – which has acres of fairings – there still feels to be loads left in the 500ml can. After only spending a few minutes with the polish, the plastics looked almost new, with no visible streaks. The polish can be used on aluminium, carbon and titanium painted surfaces. Like standard, non-spray wax, it can build up around stickers and screws, leaving white residue around the edges of such raised parts. Since it’s a spray it can be a little messy, especially if it’s a little windy or you’re not paying attention to where you’re spraying. Spraying it onto the cloth first is better for those awkward places.